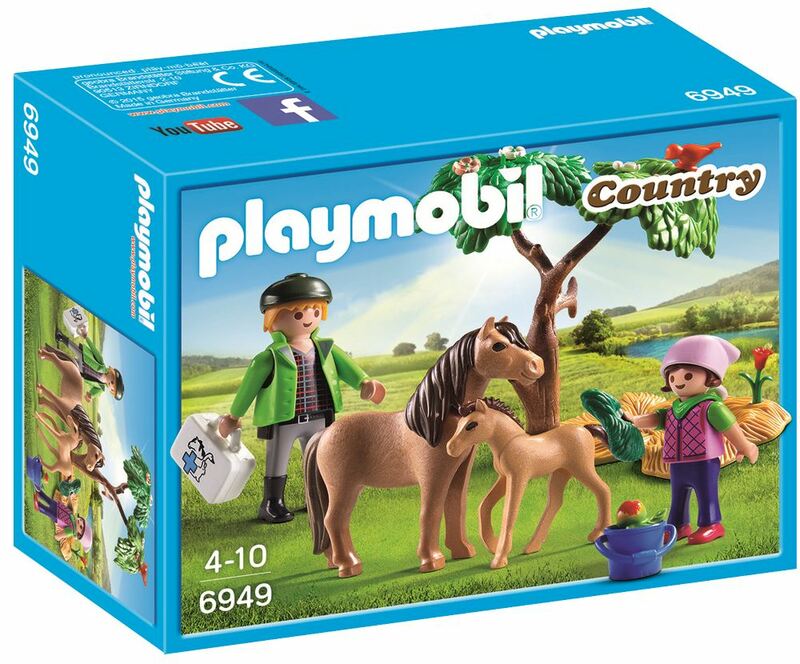 This Playmobil vet is on hand to take care of this pony and its foal. Feed the horses tasty hay or vegetables from the blue bucket as the vet examines the ponies and makes sure they’re okay. The vet comes with a handy medical kit to make them feel better. Includes: an adult figure, child figure, foal and accessories. Part of the Country and Pony range. Age 4+ years. Distributed in New Zealand by Holdson.